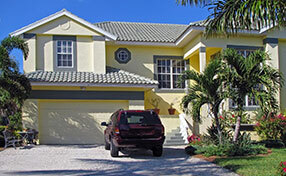 Selecting a new garage door is the easiest and hardest thing to do. Is this a paradox? Hardly! With abundance in options among the Clopay garage doors and the great assistance of Garage Door Repair Shoreline, this task could be enjoyable and easy. Such decisions are hard when you have no help and still confronted with the dilemma of which manufacturer to choose, which material to get and what door type to get. You can be sure that the staff of our company will assist you every step of the way and Clopay products are always one of the greatest options in the market. 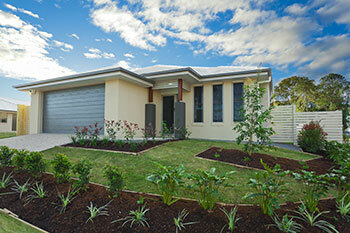 When you invest in new garage doors, aesthetics and durability must be combined. This is exactly what Clopay offers with tens of different options among exceptionally constructed doors. The plethora of garage door choices in terms of types, designs, materials and styles is not the only advantage of Clopay. You can certainly find many faux wood doors, real wood options, beautiful glass doors, steel and aluminum options. It's also a big plus that you can put your personal touch by choosing windows, combine materials, add elegant hardware, choose the finish color and the shade of the frame. Emphasizing on the aesthetics of your new garage door is important and you can be sure that a Clopay option will increase the value of your house. Clopay offers more than beauty! Our company encourages your choices for design and good looking results, but emphasizes on the durability of the door. The truth is that we have peace of mind with Clopay and so should you! The Clopay doors come with strong garage door parts and special attention is given when wind load requirements must be followed. Clopay also gives great attention to the protection of the environment and has energy efficient doors with an r-value up to 18.4. With a three layer sandwich, panels are constructed to offer great insulation with either polystyrene or polyurethane insulation materials. 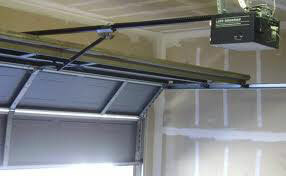 Glass garage doors can be insulated as well and steel doors are of 24, 25 or 27 gauge. Strict recycling rules are also followed when the existing door must be disposed during garage door replacement. Clopay has fabulous carriage style garage doors reminiscent of the traditional ones, but with the characteristics of modern constructions. It is famous for its Avante collection of fantastic glass doors with panels of 15 different shades which can be matched with seven different aluminum frame colors. Clopay makes the difference in the garage door construction industry for its innovative ideas, plethora of options, emphasis on details and environmental issues, great design and great strength. Such characteristics cannot leave anyone indifferent! Our teams are here to present more Clopay options!